Chances are you’ve heard one of Miklós Rózsa’s famed musical scores. After all, he is a three-time Academy Award winning composer for his work on the films Spellbound (1945), A Double Life (1947), and Ben Hur (1959). He also received another ten nominations for such films as The Thief of Bagdad (1940), Double Indemnity (1944), The Lost Weekend (1945), and The Killers (1946). Rózsa’s compositions are distinctly original and varied enough throughout his career that it’s surprising it’s the work of the same man. Miklós Rózsa was born in Budapest, Hungary, on April 18, 1907, and by the age of five was starting to learn the violin. In his autobiography Double Life, Rózsa says that he learned how to read music before he could read words. This fascination with music came from his mother and stayed with him until it was time for Rózsa to attend university. His father wanted him to study chemistry in Budapest, but Rózsa only had interest in musicology. The two had many discussions and reached a compromise; the young Rózsa would attend school at Leipzig University in Germany and would pursue degrees in both chemistry and music. During the day Rózsa spent all of his time in the laboratories struggling with his chemistry studies, but his heart wasn’t in it. He heavily relied on the help of others to get through his coursework. At night he would switch gears to focus on his musical studies (which he likely thought about while he was on his chemistry shift). At the end of his first year at Leipzig, Rózsa’s father finally relented and permitted him to drop his chemistry coursework. After his graduation from Leipzig, Rózsa spent a few years in Germany and France honing his craft. He had written several well-received pieces, but couldn’t determine how to make a living composing music. After a successful joint concert with fellow composer Arthur Honegger, Rózsa asked him how he managed to get by solely on musical composition and concerts. Honegger let Rózsa in on a secret: he was making a living by composing musical scores for films which gave him a comfortable lifestyle and another venue for his craft. Rózsa immediately set out to find work in films, and based on the recommendation of a friend, he decided to look for it in London. The only issue was that Rózsa couldn’t speak English. Ever determined, he scraped together all the money he could to take ten English language lessons at the Berlitz School so he could at least make his way through London. In 1937, Rózsa composed his first musical score for the Alexander Korda film Knight Without Armor, starring Marlene Dietrich and Robert Donat. Although the film was a failure, it afforded Rózsa more work. He was hired on with Korda’s production company London Films and scored the magnificent epic The Four Feathers (1939). After its tremendous success, Rózsa was fast at work on another immensely popular Korda production: The Thief of Bagdad (1940). For this film however, Rózsa would have to work in Hollywood. This began a love/hate relationship with the entire Hollywood filmmaking industry, one that would last the rest of his career. In 1943, Rózsa was called by Paramount Studios to work with director Billy Wilder on his film Five Graves to Cairo (1943). In his autobiography, Rózsa considers this his first real Hollywood film. He recalls that Wilder promised that if his work was good on Cairo, then he could score Wilder’s next movie, which would be the masterpiece film noir Double Indemnity (1944), starring Fred MacMurray, Barbara Stanwyck, and Edward G. Robinson. 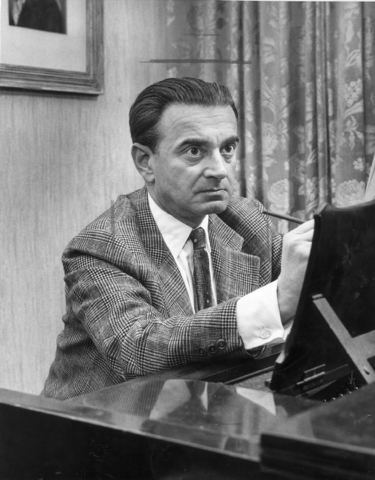 During both the production of Five Graves to Cairo and Double Indemnity, Rózsa dealt with Paramount’s difficult musical director who wasn’t too keen on Rózsa’s grand style. At the same time, Rózsa’s orchestral composition Theme, Variations, and Finale (Op. 13) was featured during Leonard Bernstein’s conducting debut with the New York Philharmonic at Carnegie Hall in a national radio broadcast. Thinking this honor would improve his place in the studio hierarchy, Rózsa quickly discovered that his success outside the film industry didn’t impress his peers in Hollywood, especially the musical directors. However, he continued to push boundaries with his musical style in film, especially in his collaboration on the Alfred Hitchcock/David O. Selznick film Spellbound, which won Rózsa his first Academy Award. 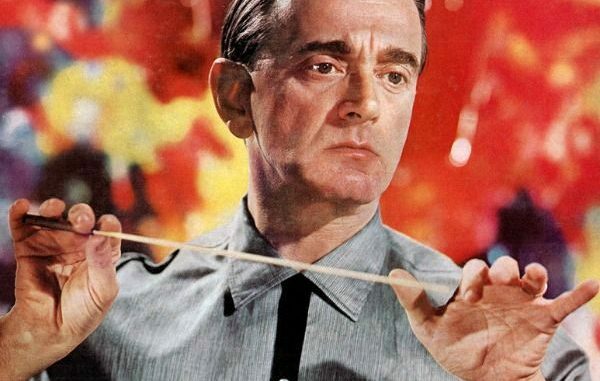 In his score for Spellbound, Rózsa used an instrument called the theremin for Gregory Peck’s character’s psychotic episodes. The result produced an eerie, uncomfortable effect, enhancing the scene. This was truly a unique sound that had never been heard on film before. 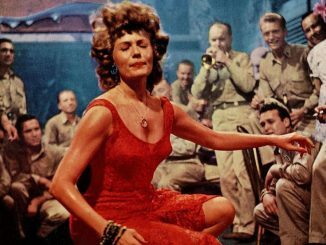 Rózsa employed the theremin one other time for his work on Billy Wilder’s The Lost Weekend, which again was used to depict the drunken, delirious moments of Ray Milland’s character. Now that Rózsa had an Academy Award and some nominations to his credit, he was very much in demand. Unfortunately, he did not get along with everyone. For instance, Rózsa and Alfred Hitchcock did not work well together. Rózsa was insulted that the director never found the time to come by the studio during recording or ever congratulated him on his Oscar. Rózsa remarked that, even though he despised Selznick, the producer at least had the courtesy to send over a note of congratulations. Following his work with Selznick and Paramount, Rózsa was assigned to Mark Hellinger’s first film at Universal Studios, The Killers (1946), a film based on a story by Ernest Hemingway. Rózsa and Hellinger hit it off immediately, although they didn’t get to work as closely as both men would have liked. That was, unfortunately, how the studio system worked. However, Rózsa recalls in his autobiography of one meeting where the two men met to discuss the theme for the killers in the film. Rózsa described to Hellinger that he wanted to use a “short, distinctive musical motif to characterize the killers whenever they appeared.” Rózsa also remarks how violent The Killers is, and his score reflects that; it’s “brutal and dissonant”, yet there are times when there is eerie silence. It’s a haunting score. Of course he faced some backlash from the studio, but since the film was produced by Hellinger, and not by Universal, there was very little they could do. Rózsa refers to The Killers as marking the so-called “third period” of his film scoring, his “film noir period.” The first was his “oriental period” with films that featured exotic locales. These include Sahara, The Four Feathers, and The Jungle Book. 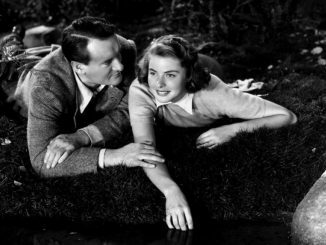 The second is the “psychological period” including Spellbound, The Lost Weekend, and The Strange Love of Martha Ivers. While Double Indemnity is definitely a film noir, Rózsa felt The Killers really was the tipping point. Rózsa composed a motif for the titular criminals in The Killers, a simple, yet powerful four-note melodic phrase: Dum-da-dum-dum. When he wrote that line of music, Rózsa had no idea that it would later become one of the most popular and recognizable television themes of all time. In 1954, Rózsa was made aware that his theme from The Killers was being used for the television show Dragnet. He contacted his music publisher, Robbins Music Corporation, to investigate this supposed copyright infringement. Indeed the theme was the same, and RMC sent out orders to several record companies to discontinue using the theme. The composer of the Dragnet theme, Walter Schumann, claimed that he was given permission by Rózsa to use the section of The Killers theme in question. During the filming of the Hellinger production, Schumann was on the Universal lot working on another project, but Rózsa never gave him license to use the music. A settlement was reached in favor of Rózsa in which he would receive co-credit and half of the composer fees. Ironically, the theme for Dragnet became his most commercially successful work, and he didn’t even create it specifically for the show. After his Academy Award nominated score for The Killers, Miklós Rózsa went on to work with Mark Hellinger again on the film noir Brute Force (1947) and other noirs including Jules Dassin’s The Naked City (1948), Robert Siodmak’s Criss Cross (1949), and John Huston’s The Asphalt Jungle (1950). The Killers, Brute Force, and The Naked City are all available on DVD and Blu-ray through the Criterion Collection. This essay was originally published in the film noir magazine The Dark Pages in their 2013 Giant Issue dedicated to Mark Hellinger’s The Killers. Miss Sadie Thompson: Rita Hayworth in 3D!